Many accuse me of conducting public affairs with my heart instead of my head. Well, what if I do? … Those who don’t know how to weep with their whole heart don’t know how to laugh either. 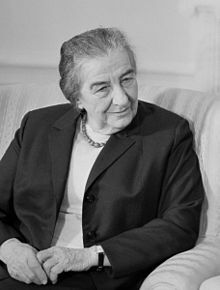 Golda Meir, born Golda Mabovitz (גולדה מאיר‎; 3 May 1898 – 8 December 1978), was an Israeli politician and one of the founders of the State of Israel. She served as Minister of Labor, Foreign Minister, and as the fourth Prime Minister of Israel. We hate war. We do not rejoice in victories. We rejoice when a new kind of cotton is grown, and when strawberries bloom in Israel. Above all, this country is our own. … Being a Jew is no problem here. We can forgive [them] for killing our children. We cannot forgive them from forcing us to kill their children. 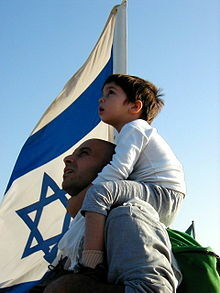 We will only have peace with [them] when they love their children more than they hate us. Arab sovereignty in Jerusalem just cannot be. This city will not be divided — not half and half, not 60-40, not 75-25, nothing. I am also grateful that I live in a country whose people have learned how to go on living in a sea of hatred without hating those who want to destroy them and without abandoning their own vision of peace. To have learned this is a great art, the prescription for which is not written down anywhere. It is part of our way of life in Israel. Finally, I wish to say that from the time I came to Palestine as a young woman, we have been forced to choose between what is more dangerous and what is less dangerous for us. At times we have all been tempted to give in to various pressures and to accept proposals that might guarantee us a little quiet for a few months, or maybe even for a few years, but that could only lead us eventually into even greater peril. A story once went the rounds of Israel to the effect that Ben-Gurion described me as 'the only man' in his cabinet. What amused me about is that he (or whoever invented the story) thought that this was the greatest compliment that could be paid to a woman. I very much doubt that any man would have been flattered if I had said about him that he was the only woman in the government! Yadid, Judd (2015-05-03). 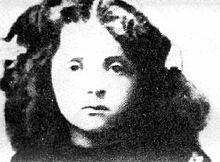 Israel’s Iron Lady unfiltered: 17 Golda Meir quotes on her 117th birthday (in English). Haaretz. America is a great country. It has many shortcomings, many social inequalities … but it’s still a great country, a country full of opportunities, of freedom! I'm a slave to this leaf in a diary that lists what I must do, what I must say, every half hour. This page was last edited on 20 February 2019, at 14:48.